Although the dragon serves as a de facto national emblem for the People’s Republic of China, it is the panda that is most commonly associated with the world’s most populous nation. The panda species is native to the mountain ranges of central China, and serves as an unofficial logo and emblem for many Chinese entities. 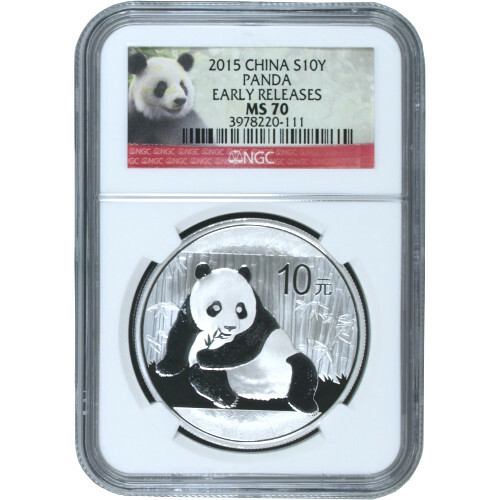 Today, you can purchase a 2015 1 oz Silver Chinese Panda Coin with an MS70 grade from the NGC through Silver.com. 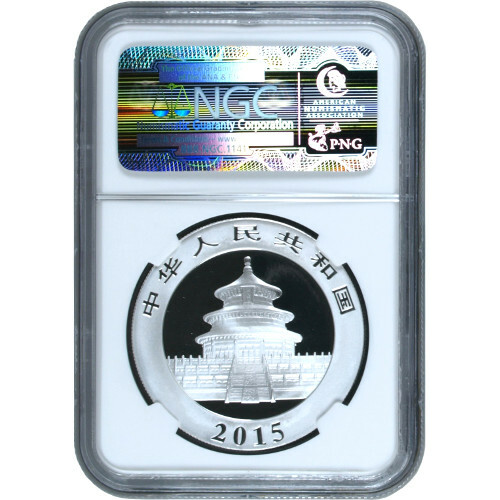 These coins are part of the Early Release series, indicating they were received by NGC during the first 30 days of their release. The panda is viewed as a gentle giant in the minds of billions. Though it is listed as a carnivore, the bear’s diet is actually 99% bamboo and other grass and plant species. The first appearance of pandas on official Chinese currency came in 1983 with the release of the first Silver Chinese Panda coins. Guaranteed by the People’s Bank of China, the coins are issued on a yearly basis in both silver and gold varieties. 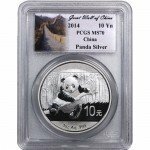 Unlike other national bullion coin series, the Silver Chinese Panda features a fresh image of a panda each year. 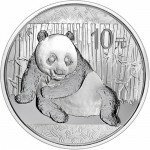 On the obverse of the 2015 1 oz Silver Chinese Panda is the standard depiction of the Temple of Heaven. The simple engravings on this side of the coin include “People’s Republic of China” in Chinese characters, and the year of minting. The reverse side shows the latest image of a panda to grace the coin. In the image, a single panda can be seen sitting and chewing on grass. A tall wall of bamboo is featured in the background, while the lone engraving represents the face value (in Yuan) of the coin. 2015 1 oz Silver Chinese Panda coins are minted at various facilities across China, and issued by the People’s Bank of China. None of the coins bear mint marks, but it is believed that they are struck at facilities in Shenzhen, Shanghai, and Shenyang. These coins are available with an MS70 grade from the Numismatic Guaranty Corporation, indicating they have no blemishes and are considered perfectly minted. If you have questions about Silver Chinese Panda coins or any other Silver.com product, simply call our associates at 888-989-7223. You are also welcomed to use the online live chat feature located on our contact page.